Gary R. Collins is a licensed clinical psychologist with a Ph.D. in clinical psychology from Purdue University. He earned Professional Certified Coach (PCC) credentials from the International Coach Federation and is author of numerous articles and almost 60 published books. These include Christian Counseling: A Comprehensive Guide, How to be a People Helper, The Biblical Basis of Christian Counseling, and Christian Coaching: Helping Others Turn Potential into Reality. Gary was general editor of the thirty-volume Resources for Christian Counseling series of professional counseling books mostly published in the 1980s, the Word Christian Counseling Library of cassette tapes, and the twelve-volume Contemporary Christian Counseling series of books that appeared in the early 1990s. In December 2001 NavPress published Gary's book Christian Coaching, a book that was revised and updated for publication in 2009. The third edition of Christian Counseling (revised, expanded and completely updated) was published by Thomas Nelson publishers in 2007, followed by an accompanying Casebook of Christian Counseling, also published by Nelson. Gary Collins grew up in Canada and graduated from McMaster University in Hamilton, Ontario and the University of Toronto before taking a year of study at the University of London. His first teaching occurred during that year overseas as he taught courses for the University of Maryland in Germany and England. Gary spent several years in the Royal Canadian Navy Reserve before moving to the United States to study clinical psychology at Purdue University. He took his clinical psychology internship at the University of Oregon Medical School Hospitals in Portland and subsequently enrolled at Western Seminary for a year of theological study. At Western he met his wife Julie. 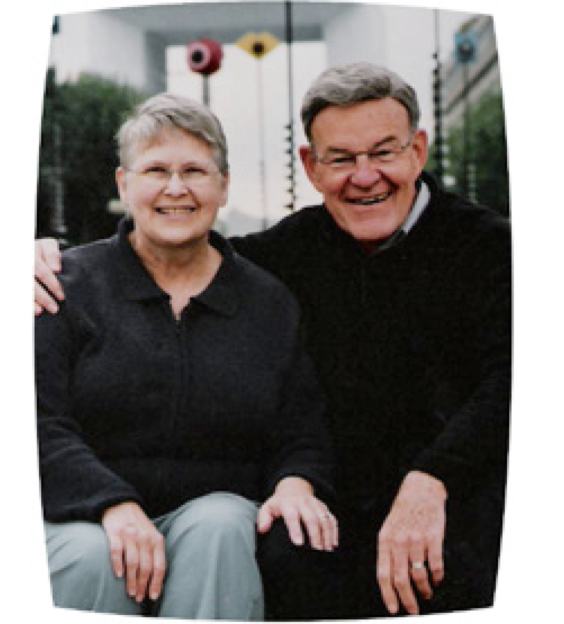 They were married in 1964 and moved to Minnesota where Gary taught psychology at Bethel College in St. Paul. Their two daughters, Lynn and Jan were born in Minnesota. After a year on the faculty of Conwell School of Theology in Philadelphia, the Collins family moved to Illinois where Gary taught psychology and counseling at Trinity Evangelical Divinity School. For much of that time he was department chairman. In 1991, Gary assumed responsibility for co-leading the fledgling American Association of Christian Counselors. In the seven years that followed, Gary was AACC Executive Director and later the organization’s first President. During that time AACC grew from about 700 paid members to more than 15,000. In addition to these duties, Gary founded Christian Counseling Today, the official AACC magazine which he edited for several years. In October, 1998 Gary Collins resigned from his responsibilities with AACC so he could devote more time to developing Christian counseling and Christian coaching worldwide. In addition to his other responsibilities, he currently holds a position as Distinguished Professor of Leadership and Counseling at Richmont Graduate University (formerly Psychological Studies Institute) in Atlanta and Chattanooga. In addition he served for a number of years (until 2015) as Distinguished Visiting Professor in the School of Psychology and Counseling at Regent University in Virginia where he consulted with the faculty and taught accredited on-line courses in coaching for Masters and doctoral (PsyD and PhD) students.